Aloha! Today, I’d like to share one of my discoveries that a single angel card initiated. Have you ever asked yourself: Who are you? Where do you come from? For what purpose were you born on the Earth? Although I had such strange but spiritually important questions since childhood, until my late twenties (! ), I had no clue that there is a spiritual world apart from the material world I lived in. But, I now know why such questions were raised in me. Have you heard about Indigo Children or Indigo Child? —Well, I am an Indigo, and you also may be one. Indigos are souls who have lived among the stars and come into this world with significant life missions that are to bring awareness to people to sustain the world and make this planet a better place. Once I considered myself an Indigo, my old questions were answered; since Indigos don’t have enough experiences as humans on this planet before, we simply have a question about humans and societies; we look up the sky and feel a pang of nostalgia. Moreover, knowing about Indigo Children gave me hope that I could live my life as who I was, or, rather, I should say I was convinced that I would have to. 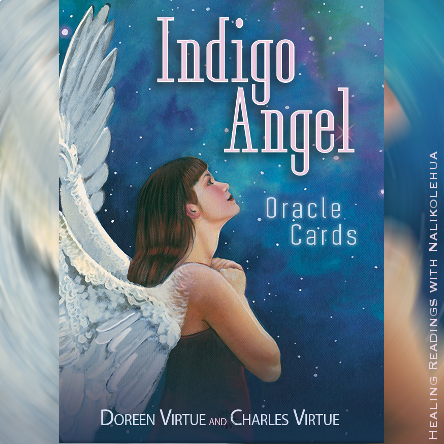 It was the Indigo and Crystal Children card from the Archangel Metatron (of the Archangel Oracle Cards) that I pulled quite often in the first year I started reading angel cards. This is the message of the card: You have a bond with children, and your life purpose involves helping and teaching children. In particular, you can help children who are sensitive. You’re here to help these children retain and amplify their psychic and spiritual gifts. Educate adults about natural and chemical-free ways to feed and raise these special children. 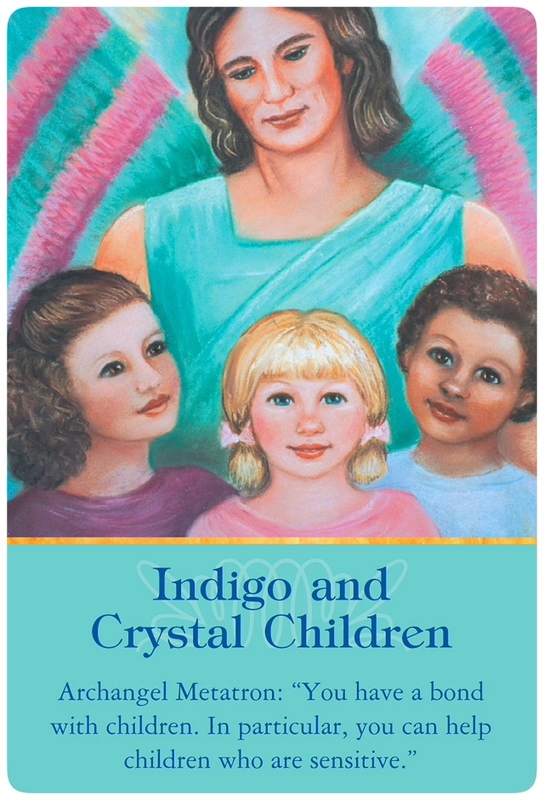 The very young Crystal Children and the slightly older Indigo Children are important to the future of this planet. Back then, I didn’t know anything about Indigo Children. In fact, I used to dislike children, and only after becoming an adult, I started liking them; so, I didn’t really understand this message at first. 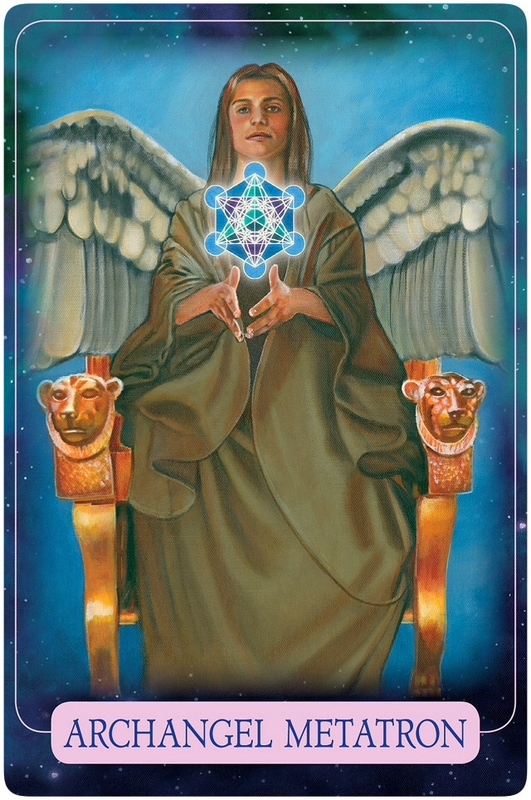 Archangel Metatron cares for children and the people who take care of children. He oversees Indigos and ensures that their spiritual gifts stay open and active. Then, I had a chance to meet Kumu Karen (“Kumu” means teacher in Hawaiian), who is a practitioner of the Hawaiian spiritual massage called Lomilomi and a priest. (She is the one who delivered the Hawaiian name Nalikolehua to me; check this blog article, if you’re interested in how I received it). Kumu Karen feels vibrations of things; she adjusts the vibration in her house by slightly changing the angles and positions of objects, such as a room light made of rock salt crystal, small angel statues on the shelves, a pretty tapestry of shells framed by branches on the wall, and a Monstera pot on the floor. Although her house is relatively small and full of such collections from garage sales, it felt very spacious and soothing, and it is one of the best houses I ever visited. She also told me that my spiritual path is a rainbow bridge, and it is illuminated by starlight. As a result, I was encouraged by her to acknowledge that I am an Indigo. Also, I realized, until then, that I had thought that something was wrong with me or that I was flawed. I finally understood the reason for my frustration; I was feeling all the time that I was not doing something that I should do: the life purposes Indigos are born with. Knowing that I have life purposes, my soul missions, was a real eye-opener to the truth that I will never feel fulfilment in my life—unless I work upon my life purposes; I have no other choice. My prioritization became simple, and my focus was set on serving my life purposes. I did life purpose readings for myself, listened to my inner voice carefully (meditation helped me to do that), and took action upon what I heard. Consequently, I launched my online service, Healing Reading! I’ve been having a great time since then. My frustration is gone; instead of that, I feel grounded and a sense of I-am-on-the-right-path. Also, I now remembered that I was once told by a friend of mine who is able to see people’s aura, the energy field, that my aura’s color was unique and it’s between blue and purple—in fact, Indigo Children are called Indigo because their aura’s color is Indigo. Indigos sense frustration at not doing anything, but know they must do something; they cannot derive a feeling of satisfaction from everyday life—unless they work upon their soul missions. Naturally think about the meaning of life and death and why they are born in this world. Indigos find their own body strange and are even surprised at seeing their own face in a mirror. Possess strong empathy (called Empath); can easily enter the world of a book or a movie—regardless of their will. Find difficulty in taking things that others do for granted, and ask many questions. Don’t like to be touched. Possess a deep desire to help the world in a big way. I love the stars; this was the Milky Way at Mauna Kea in Hawaii Island in Mar 2015. Can you spot the Sagittarius, which is my horoscope? Knowing who you really are results in an increase in self-esteem and allows you to love yourself, and you may also explore your potential. If you’d like to get help from Angels in knowing about your true self, let me assist you. They are willing to guide and provide you with what you need to know to live your life purposes. Here’s the link of my services: Healing Reading options. And, if you liked this blog post, subscribe to my blog page via email. Also, if you’re active on Instagram, drop by my account; I’d like you to join me!